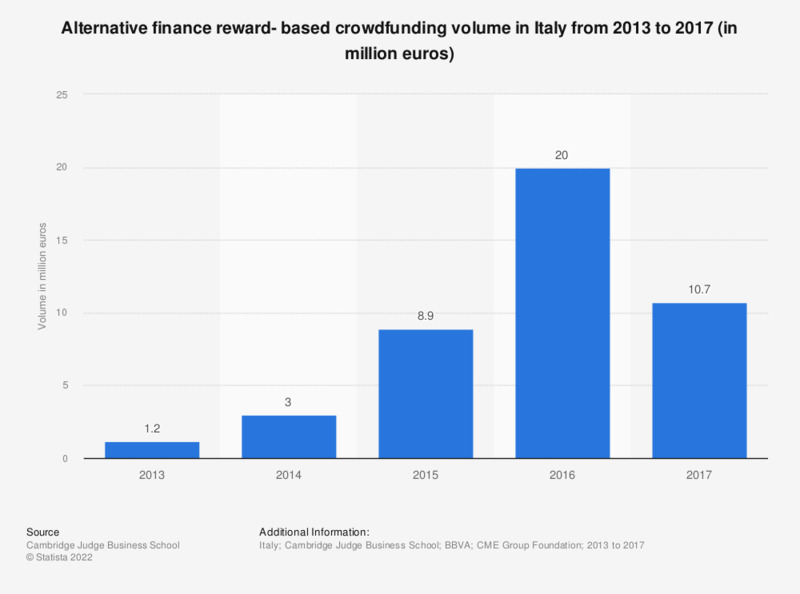 This statistic shows the alternative finance reward- based crowdfunding volume in Italy from 2013 to 2016. As of 2016, the alternative finance volume attributable to reward- based crowdfunding totaled 20 million euros. An increase of approximately 19.8 million euros in comparison to 2013.